Chicago Soybeans $9/bu Before Long? 01/09/16 -- Soycomplex: Beans closed narrowly mixed. Weekly export sales of 107,500 MT of old crop and 1,476,400 MT of new crop were at the top end of trade expectations. China (679,000 MT, including 183,000 MT switched from 2015/16) and unknown destinations (519,500 MT) took the majority of the new crop. Exports of 1,119,600 MT were up 55 percent from the previous week and 38 percent from the prior 4-week average. The primary destinations were China (579,100 MT), Germany (221,200 MT), Indonesia (97,300 MT), Italy (55,100 MT) and Mexico (33,300 MT). Trade belief that August weather added to yield potential is strong. "Funds are long and wrong, growing conditions are idyllic," said FCStone, adding that they anticipate prices around $9/bu before long. A Bloomberg survey into trader/analyst sentiment found 4 bulls, 12 bears and 4 neutrals on beans. The USDA July census crush (released after the close) came in at 153.5 million bushels, in line with expectations. Sep 16 Soybeans closed at $9.59, down 1 cent; Nov 16 Soybeans closed at $9.43 3/4, up 3/4 cent; Sep 16 Soybean Meal closed at $313.10, up $0.90; Sep 16 Soybean Oil closed at 32.20, down 27 points. Corn: Corn closed with strong gains which may have been linked to consolidation at the start of a new month. Weekly export sales of 214,100 MT for 2015/16 and 647,500 MT for 2016/17 were no better than in line with expectations. The USDA also reported the sale of 129,540 MT of US corn to Mexico under the daily reporting system. China sold 516 TMT of corn of the 3.1 MMT offered up at auction, most of it said to be at least 3 years old. They appear to have decided that the long term corn storage business no longer suits them. FranceAgriMer cut the proportion of the French corn crop rated good to very good by 3 percentage points to 60% today. Harvesting of that crop has yet to begin. Production is placed around 13.0-13.5 MMT, similar to a year ago. The market thinks that the US corn crop is getting bigger, whilst possibly not matching the USDA's inflated ideas from last month. Allendale today said 172.6 bu/acre and 14.942 billion bushels. Informa and FC Stone will release their yield projections tomorrow. The USDA were 175.1 bu/acre and 15.153 billion bushels in August. Brazil is reported to be importing Argentine corn and looking at US origin as an option to cover a poor safrinha crop. A Bloomberg survey into trader/analyst sentiment found 4 bulls, 12 bears and 4 neutrals on corn. Sep 16 Corn closed at $3.11, up 9 1/2 cents; Dec 16 Corn closed at $3.23 3/4, up 8 1/4 cents. Wheat: Wheat closed with some fairly decent gains for a change. As with corn this may have been linked to bargain hunting with prices at 10-year lows, and also new money coming into the market at the start of September. Weekly export sales of 279,400 MT for 2016/17 didn't offer any support, they were down 26 percent from the previous week and 38 percent from the prior 4-week average. Japan bought 144 TMT of US and Canadian wheat in their regular weekly tender. Australian wheat prices are reported to have fallen below $200/tonne as they search for buyers. Russian material is offered around $25/tonne cheaper than that, and Ukraine origin even less. 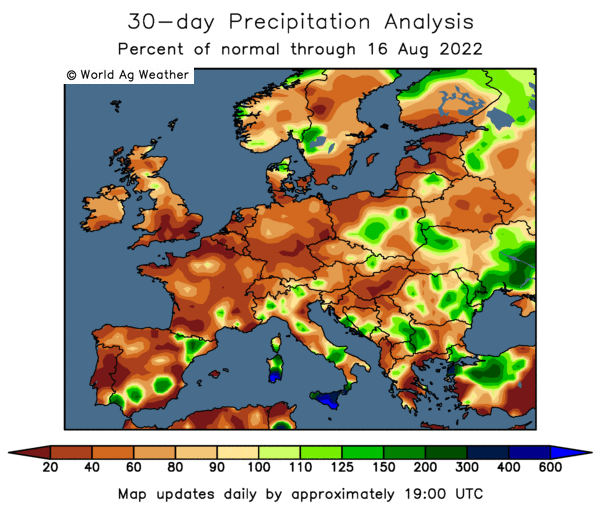 There's some talk of a dry next couple of weeks in Ukraine/Southern Russia possibly delaying autumn wheat planting. Russia are reported to be resetting their export duty on wheat to zero starting Sep 15. This year's wheat harvest is currently around 70% done. A crop in excess of 75 MMT could be on the cards, according to Agritel. The USDA are currently at 72 MMT. Brussels announced 522,825 MT worth of EU-28 soft wheat export licences, taking the season to date total to 4.54 MMT so far. A Bloomberg survey into trader/analyst sentiment found 4 bulls, 10 bears and 6 neutrals on wheat. Sep 16 CBOT Wheat closed at $3.68 1/4, up 7 1/4 cents; Sep 16 KCBT Wheat closed at $3.79 3/4, up 8 1/2 cents; Sep 16 MGEX Wheat closed at $4.90 1/2, up 4 3/4 cents. 01/09/16 -- EU grains closed mostly higher, although London wheat was lower save for a nominal gain in nearby Nov 16. The day ended with Nov 16 London wheat up 5 pence at GBP123.00/tonne, Sep 16 Paris wheat was up EUR2.75/tonne at EUR157.50/tonne, Nov 16 corn rose EUR1.25/tonne to EUR161.00/tonne and Nov 16 Paris rapeseed gained EUR0.75/tonne to EUR373.50/tonne. This was the first, albeit very modest, up day for nearby London wheat since Aug 19. The contract has lost GBP9.00/tonne, or 6.8%, since then. FranceAgriMer cut the proportion of the French corn crop rated good to very good by 3 percentage points to 60% today. Harvesting of that crop has yet to begin. Production is placed around 13.0-13.5 MMT, similar to a year ago. Bulgaria said that it had brought in a record 5 MMT wheat crop this year, up 8.7% from 4.6 MMT a year ago. 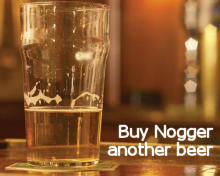 It will be an aggressive early season exporter. Russia said that it plans to reset the current export duty on wheat to zero starting Sep 15, now that it is confident of another bumper production year that far outstrips domestic needs. This year's wheat harvest is currently around 70% done. 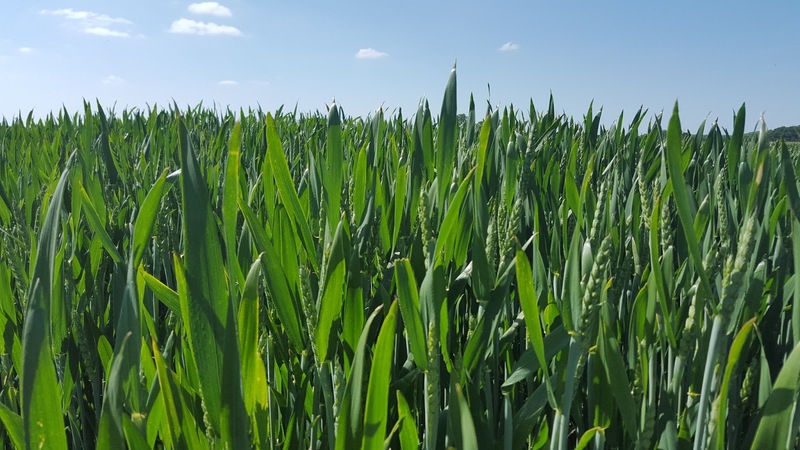 A crop in excess of 75 MMT could be on the cards, according to Agritel. Reuters reported that Germany's wheat harvest is more or less over and that production had not been as bad as feared (24.6 MMT say the Ag Minsitry). They've managed to fill some of the EU void left by a disastrous French harvest into North Africa by exporting an estimated 125,000 MT to Algeria in August along with 65,000 MT to Iran and 25,000 MT to Morocco. Brussels announced 522,825 MT worth of soft wheat export licences, taking the season to date total to 4.54 MMT so far. The demise of rapeseed as a crop continues. Agritel say that current prices should be supported by limited availability as well as difficulties sowing new crop, especially in France. This could further impact negatively on EU production for 2017. 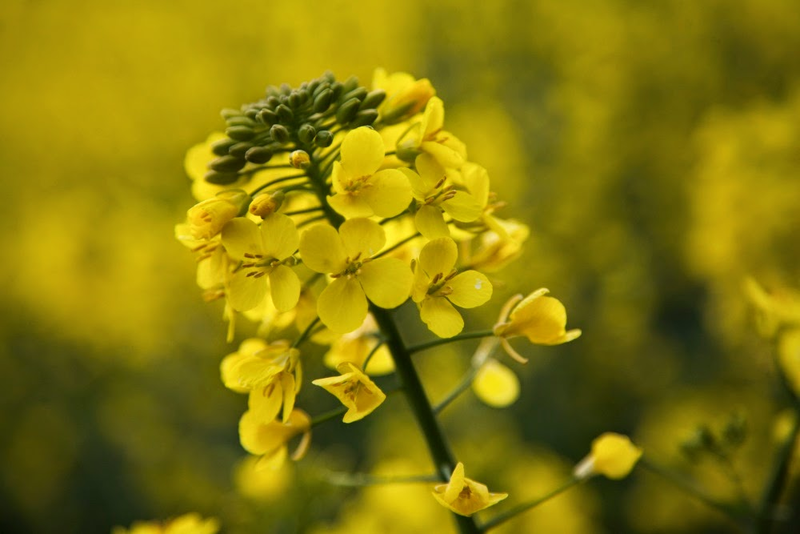 The neonicotinoid ban and penalties associated with high levels of erucic acid in this year's crop already have growers falling out of love with the crop. Current relatively low prices, ignoring the rapeseed S&D fundamentals and instead following the global soybean market lower, are further exacerbating the situation. 31/08/16 -- Soycomplex: Soybeans closed lower. 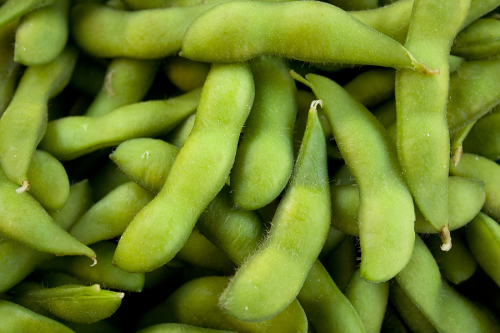 The USDA announced sales of 187,000 MT of US soybeans for delivery to China during the 2016/17 marketing year under the daily reporting system. Reuters reported that the Chinese delegation in town to sign a "showcase" deal to import a large quantity of US soybeans may sign a deal for around 4 MMT. US beans are attractive with prices below $10/bu and Brazil out of the market. Dr Cordonnier reported that Brazil may need to import soybeans and meal as well as US corn this year having aggressively sold their new crop at favourable rates earlier in the year when the Brazilian real was much weaker than it is currently. The trade prefers to focus on US soybeans heading into harvest in the best condition since 1989. Weekly export sales for beans tomorrow are expected to be in the region of 1.1-1.6 MMT. Sep 16 Soybeans settled at $9.60, down 5 1/2 cents; Nov 16 Soybeans settled at $9.43, down 7 3/4 cents; Sep 16 Soybean Meal settled at $312.20, down $1.60; Sep 16 Soybean Oil settled at 32.47, down 26 points. Corn: The corn market closed narrowly mixed. The front month September contract inched closer to the 2009 low of $2.96 3/4. The USDA announced the sale of 275,000 MT of US corn for delivery to Mexico during the 2016/17 marketing year under the daily reporting system. Weekly ethanol production came in down 5,000 on last week but still large at 1.023 million barrels per day. Weather forecasts for the Deep South and Mississippi Delta region which should enable harvest activity to pick up a bit there. The Brazilian Minister of Agriculture has set in motion emergency measures that would allow up to 1.5 MMT of previously prohibited GMO corn from the United States to enter Brazil as they run short of supplies following a poor safrihna crop and over-aggressive early season exporting, says Dr Cordonnier. Ukraine and Russia have begun harvesting small volumes of their 2016 corn harvests. Weekly export sales tomorrow are expected in the region of 1 MMT. Sep 16 Corn settled at $3.01 1/2, down 2 1/2 cents; Dec 16 Corn settled at $3.15 1/2, down 1/4 cent. Wheat: The wheat market closed mixed. The USDA announced that US exporters had sold 138,000 MT of hard red winter wheat for delivery to unknown destinations during the 2016/17 marketing year. After changing to a zero tolerance on ergot Egypt's GASC picked up just the one offer at their tender and passed on it. Tunisia booked 50,000 MT of wheat and 25,000 MT of feed barley in their tender, both optional origin for Nov/Dec delivery. Indonesia, the world's second largest wheat importer, shipped in 5.69 MMT of the grain in the first half of 2016, a sharp 57.5% increase on the same period a year ago, report Reuters. The top supplier was Australia (although their market share was reduced by almost half to 36.3%), followed by Ukraine (14.9%), Canada (15.2%) and the US (7%). It's possible that Indonesia could overtake Egypt as the world's largest wheat buyer before too long. It speaks volumes for dollar strength that Ukraine is able to pick up double the volume of this business than the US. Weekly export sales tomorrow are expected to be around 500 TMT. Sep 16 CBOT Wheat settled at $3.61, down 2 1/4 cents; Sep 16 KCBT Wheat settled at $3.71 1/4, up 3 1/2 cents; Sep 16 MGEX Wheat settled at $4.85 3/4, down 5 cents. 31/08/16 -- EU grains closed mixed. 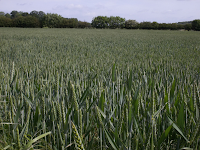 Wheat was mostly lower, corn mixed and rapeseed mostly higher. At the close Nov 16 London wheat was down GBP0.95/tonne at GBP122.95/tonne, Sep 16 Paris wheat was EUR1.00/tonne lower to EUR154.25/tonne, Nov 16 Paris corn was down EUR1.75/tonne at EUR159.75/tonne, Nov 16 Paris rapeseed was EUR2.25/tonne firmer at EUR372.75/tonne. 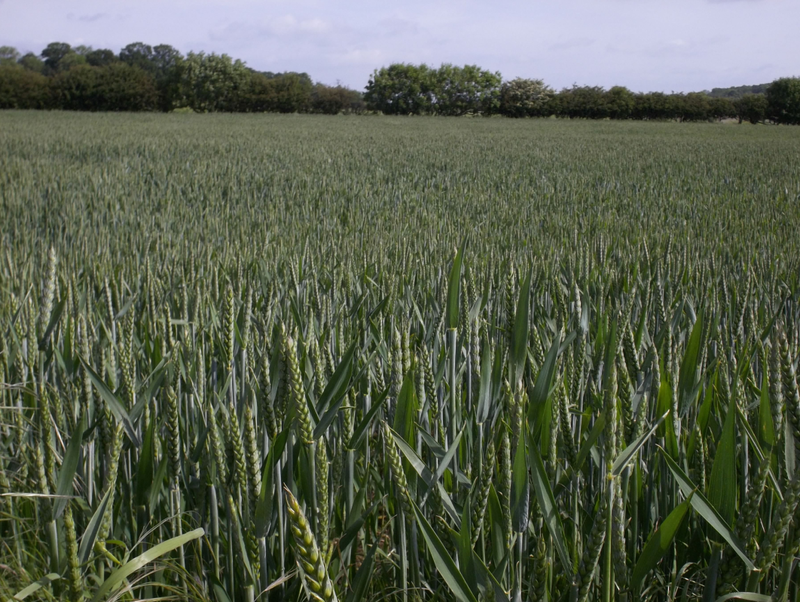 Private reports continue to suggest that UK wheat, amongst other origins, is being shipped to France to help cover their deficit this season. Egypt, the world's largest importer of wheat, picked up only one offer in their tender to buy 100% guaranteed ergot free wheat for Oct 5-15 shipment in their tender - Ukraine origin material at $179.32/tonne FOB. Tunisia were also in the market for wheat today, and picked up 13 offers. The most logical explanation for Egypt's hardball stance is perhaps an internal government power struggle. They are rumoured to be considering devaluing the pound and seeking financial help from the IMF. They are already paying $5-7/tonne above the market for wheat due to their strict quality terms, which is a lot of extra un-needed cash when you buy 10 MMT a year. Today's tender was subsequently cancelled. The Russian harvest rumbles on, producing 91.7 MMT of grains off 68% of the cultivated area, say the Russian Ag Ministry. That figure includes 63.5 MMT of wheat (71.7% harvested) and 16.9 MMT of barley (18.3%). Russian growers have also planted 2.7 million ha of winter grains (mostly wheat) for the 2017 harvest, or 15.7% of the expected area. Indonesia, the world's second largest wheat importer, shipped in 5.69 MMT of the grain in the first half of 2016, a sharp 57.5% increase on the same period a year ago, report Reuters. The top supplier was Australia (although their market share was reduced by almost half to 36.3%), followed by Ukraine (14.9%), Canada (15.2%) and the US (7%). 30/08/16 -- Soycomplex: Beans extended their run to the downside, ignoring a 126,000 MT sale to unknown for 2016/17 announced by the USDA under the daily reporting system. There's also a Chinese delegation in town which is likely to announce a large "showcase" soybean purchase with prices below $10/bu and the US the most competitive seller in the world right now. Still, the trade is focused on the potential for the 2016 US crop to break all previous records, some are even talking of a bin-busting 50 bu/acre average yield this year (USDA currently 48.9 bu/acre). Indonesia say that 2016 palm oil production there is likely to be 31-32 MMT versus the USDA's current 35 MMT. Sep 16 Soybeans settled at $9.65 1/2, down 17 3/4 cents; Nov 16 Soybeans settled at $9.50 3/4, down 13 1/2 cents; Sep 16 Soybean Meal settled at $313.80, down $5.70; Sep 16 Soybean Oil settled at 32.81, down 27 points. Corn: The market closed around 4-6 cents lower, pressing onto fresh contract lifetime lows. September closed at 3.04 which is approaching the 2009 continuation low of 2.96 3/4. Seasonal lows are often set around September/early October for corn and beans. Wheat at 10-year lows remains a negative downwards pull for corn. The trade is not as convinced that this year's corn crop will beat the current USDA forecasts (15.153 billion bushels and 175.1 bpa) as it is for beans. Similar to beans, the US corn offer is the cheapest around right now, so whatever export business is about, it should be relatively easily picked up by US exporters. Will that be enough for a 15 billion bushel crop though? The Ukraine corn harvest is reported to be underway, with Agritel and the USDA forecasting production this year at 26 MMT (23.33 MMT last year). Sep 16 Corn settled at $3.04, down 7 3/4 cents; Dec 16 Corn settled at $3.15 3/4, down 5 cents. Wheat: The wheat market closed at fresh 10 year lows on the continuous chart in both Chicago and Kansas. Egypt released a tender for wheat for October shipment under the new zero tolerance to ergot mandate. The results are expected tomorrow. It will be very interesting to see how many offers it picks up, and what the new stance does to prices compared to last time. They already regularly pay "over the odds" at their tenders compared to other Middle Eastern buyers. Russia are said to be proposing to eliminate their current export tax on wheat. The EU Commission lowered their expectations on this year's wheat crop and export potential to 142 MMT and 26.3 MMT respectively. The USDA are at 147.5 MMT and 27.0 MMT. Jordan bought 50,000 MT of optional origin hard wheat in a tender. Tunisia tendered for 134,000 MT of soft wheat and 75,000 MT of feed barley. Sep 16 CBOT Wheat settled at $3.63 1/4, down 7 1/4 cents; Dec 16 KCBT Wheat settled at $3.96 3/4, down 5 1/2 cents; Dec 16 MGEX Wheat settled at $4.85 3/4, up 1 1/2 cents. 30/08/16 -- EU grains finished mixed, but mostly lower again. London wheat re-opened from the Bank Holiday playing catch-up with Chicago wheat which hit 10-year lows yesterday. The day ended with Nov 16 London down GBP1.85/tonne at GBP123.90/tonne, Sep 16 Paris wheat was EUR1.75/tonne firmer at EUR155.75/tonne, although new crop 2017 months were lower. Nov 16 corn was down EUR0.50/tonne at EUR161.50/tonne and Nov 16 rapeseed fell EUR0.75/tonne to EUR370.50/tonne. 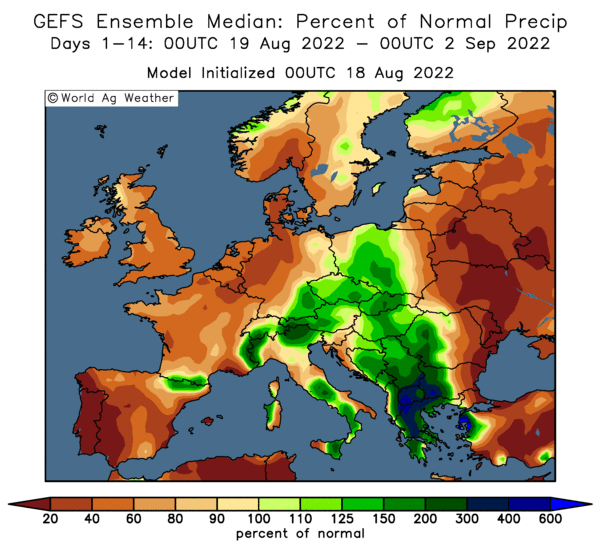 The EU Commission cut their forecast for this year's domestic wheat harvest from 144.5 MMT to 142.0 MMT, cutting exports from 29.0 to 26.3 MMT. Production in 2015/16 was 151.6 MMT and exports amounted to 32.7 MMT. Forecasts for this year's corn harvest were trimmed from 65.5 MMT to 65.2 MMT, but still 12.4% above the 58.0 MMT produced last year. Jordan bought 50,000 MT of optional origin hard wheat in a tender. Tunisia tendered for 134,000 MT of soft wheat and 75,000 MT of feed barley. Algeria said that severe drought had cut their 2016 grain harvest by 17.5% to 3.3 MMT. That will hurt their aim to try to reduce their dependency on foreign imports. Russia said that it's grain harvest was 65.3% done at 89.3 MMT. Wheat is 68.5% harvested at 61.8 MMT and barley 79.9% done at 16.3 MMT. Russian autumn grain plantings for the 2017 harvest are already complete on 1.9 million ha, or 11.3% of the planned area. Ukraine said it's 2016 harvest is 68% done, producing a crop of 38.27 MMT to date. The 2016 corn harvest has now started. Planting of winter rapeseed for 2017 is 63% complete on 456k ha. The 2016 French malting barley harvest is down 20-30% according to private estimates. Prices have increased 15-20% since harvest, report Reuters. Exports are expected to be curtailed as the bulk of the crop will be consumed on the domestic market this season. 29/08/16 -- Soycomplex: Beans stumbled lower despite weekly export inspections of a robust 921,137 MT and the USDA announcing a 393,000 MT sale of US soybeans to unknown destinations for 2016/17 this morning under the daily reporting system. The trade noted the tendency for ProFarmer to be below the USDA final production number in 10 of the last 14 years. On Friday they gave us 49.3 bpa and a 4.093 billion bushel crop. The USDA were at 48.9 bpa and estimated production at 4.060 billion bushels earlier this month. The trade thinks the crop is therefore getting larger. The USDA didn't do that notion any harm by raising the proportion of the crop rated good to excellent by 1 point after the close to 73%. They said that 94% of the crop is setting pods (92% typically) and that 5% of the crop is dropping leaves (in line with the 5-year average). Sep 16 Soybeans settled at $9.83 1/4, down 7 1/2 cents; Nov 16 Soybeans settled at $9.64 1/4, down 3 cents; Sep 16 Soybean Meal settled at $319.50, down $1.70; Sep 16 Soybean Oil settled at 32.81, down 14 points. Corn: Corn closed lower, with most contracts setting new life of contract lows. Weakness in wheat didn't help. The notion that big crops get bigger is also weighing. Friday's data shows ProFarmer projecting 14.728 billion bushels of production with a 170.2 bpa national average yield. The USDA gave us 15.153 billion bushels and 175.1 bpa earlier this month. Today they held steady with crop ratings, saying that 75% of the crop is rated good to excellent. They have 92% of the crop at the dough stage (87% typically), 60% of the crop dented (52% normally at this time) and say that 9% of the crop is mature (11% on average). Weekly export inspections were strong at 1.422 MMT, but the trade chose to ignore that point. On the weather front "it appears the tropical storm is going to stay east of the areas in the center Gulf, would help take some of the pressure off the harvest in that region," said Benson Quinn. Ukraine reported that it had shipped out 478 TMT of corn so far this season. Agritel forecast production in 2016 at 26 MMT. Sep 16 Corn settled at $3.11 3/4, down 4 1/2 cents; Dec 16 Corn settled at $3.20 3/4, down 4 1/4 cents. Wheat: Wheat closed with double digit losses in Chicago an Kansas. Chicago wheat is now trading at 10-year lows. Harvest pressure amid bumper global production just about everywhere bar France is the reason. Weekly export inspection of 511,965 MT were down 5% on last week and 18% below the same week a year ago. The USDA reported the 2016 US spring wheat harvest at 81% complete versus only 62% normally at this time. Egypt confused the market by again re-visiting the ergot issue and again deciding on a zero tolerance level for all imports. This caused consternation the last time they did this, with offers at their tenders drying up to a trickle. 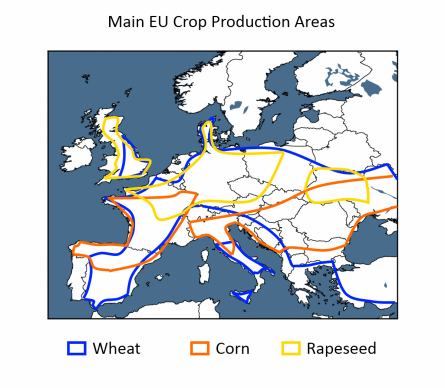 It might also suggest Russian/Black Sea wheat may have to search a bit harder for some homes. Iran reported a wheat crop of 14 MMT versus 11.5 MMT a year ago. The German Ag Ministry reported their crop at 24.6 MMT, down 7.5% on a year ago. FranceAgriMer reported than only 28% of their harvest has a specific weight of over 76 kg/hl. Apart from that hagberg and protein levels are pretty good. Russian wheat exports inexplicably fell back to only 200 TMT last week. Sep 16 CBOT Wheat settled at $3.70 1/2, down 13 cents; Sep 16 KCBT Wheat settled at $3.74 1/4, down 15 1/2 cents; Sep 16 MGEX Wheat settled at $4.88 1/4, down 4 1/4 cents. 29/08/16 -- EU grains closed lower to start the week. London wheat was closed for the August Bank Holiday and will play catch-up tomorrow. Despite the lack of UK input, French grains fell quite hard as wheat in Chicago slumped below $4/bu to the lowest levels seen since 2006. The day ended with Sep 16 Paris wheat down EUR4.50/tonne at EUR154.00/tonne, Nov 16 corn was down EUR2.25/tonne at EUR162.00/tonne and Nov 16 Paris rapeseed fell EUR3.00/tonne to EUR371.25/tonne. FranceAgriMer said that the quality of the new crop French wheat can now be analysed, now that he harvest is over. Some 65% of the French crop has a protein level of over 12%, and only 6% has a protein level that falls below the minimum 11.5% required for export. Some 79% of French wheat has a hagberg falling number of over 240 (95% last year), but that's still not too bad, so where's the problem? Only 28% of it has a specific weight of 76kg/hl or more, opening the door for large-scale imports of better bushel weight grain for blending purposes. Overall, as it stands, only 10% of the crop makes French #1 standard of 11.5% protein, 77 kg/hl and 240 hagberg. Egypt muddied the waters again over the weekend by stating that all wheat imports must (again) meet an ergot inclusion level of zero. The last time they did this offers at their tenders dried up to virtually nothing as 0.05% is the accepted industry standard. We shall have to wait and see how things pan out from here. Rejections and demurrage are a very expensive risk that nobody wants to take. 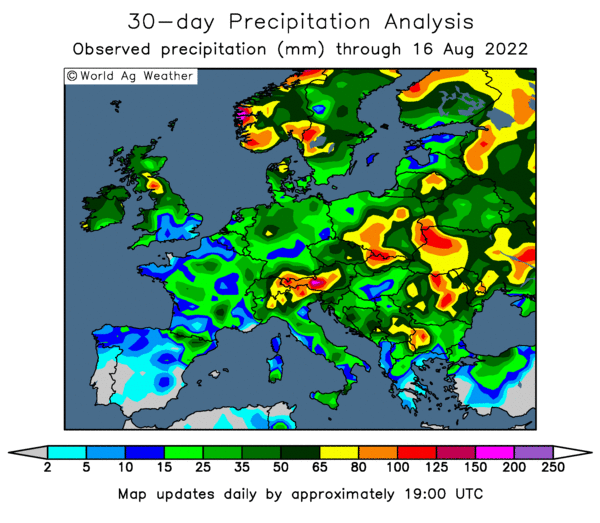 The German Ag Ministry said that wheat production there this year will fall 7.5% to 24.6 MMT due to wet weather. Iran said that their 2016 wheat crop had come in at 14 MMT versus only 11.5 MMT a year ago. Ukraine seaports exported 552.7 TMT of grains last week, said APK Inform, down from 647.7 TMT a week previously. That total included 391.1 TMT of wheat, 150.9 TMT of barley and 10.7 TMT of corn. Russian seaports exports fell to only 203.1 TMT from 406.8 TMT the previous week, they added. Wheat accounted for 200 TMT of that total. Russian exports to date are up 0.6% on a year ago at 4.48 MMT (wheat 3.7 MMT; barley 712 TMT; corn 39 TMT). Ukraine exports are 3.95 MMT (wheat 1.74 MMT; barley 1.71 MMT; corn 478 TMT). 26/08/16 -- Soycomplex: Soybeans closed lower on the day and for the week. Fund selling and a lack of supportive news were bearish factors this week, alongside ideas that the already record large US crop is continuing to get larger. There have been no daily announcements of sales to China/unknown for the past few days either. The ProFarmer crop tour released a bearish yield estimate of 49.3 bu/acre, up 0.4 bu/acre from the USDA's current figure. US weather forecasts lean bearish/neutral. Sep 16 Soybeans settled at $9.90 3/4, down 7 1/2 cents; Nov 16 Soybeans settled at $9.67 1/4, down 8 1/4 cents; Sep 16 Soybean Meal settled at $321.20, down $3.10; Sep 16 Soybean Oil settled at 32.95, up 4 points. For the week Sep 16 beans were down 36 1/4 cents, with Sep 16 meal $8.80 lower and oil down 119 points. 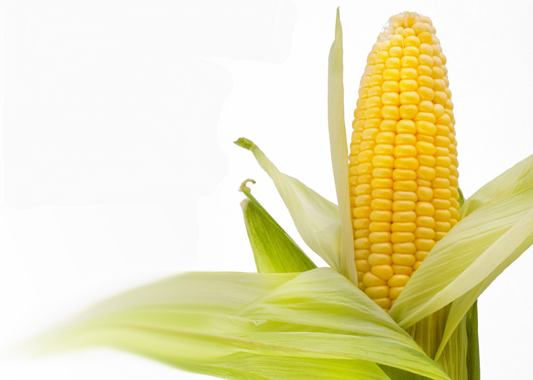 Corn: The corn market closed around 7 cents lower on the day, and 18 cents easier for the week. Fresh (bullish) news was lacking. The ProFarmer crop tour pegged US corn yields at 170.2 bu/acre, almost 5 bu/acre below the USDA's most recent estimate, but the market was widely anticipating such a move. They see production at 14.728 billion bushels. Keep an eye on Gulf storm “Invest 99-L” which is expected (60% chance) to develop into a tropical storm this weekend. The US Delta region is already wet, hindering harvest activity and could do without any more precipitation. Sep 16 Corn settled at $3.16 1/4, down 7 1/4 cents; Dec 16 Corn settled at $3.25, down 7 cents. For the week Sep 16 corn was 18 cents lower and Dec 16 was down 18 3/4 cents. Wheat: The wheat market closed lower on the day and for the week. Egypt bought Russian wheat in their tender. US wheat wasn't offered and neither was French. They've purchases exclusively Russian, Romanian or Ukraine wheat so far this season, and look set to continue to do so. The Russian harvest is now estimated at around 72-73 MMT, some 10 MT higher than a few months ago, almost entirely compensating for French losses on it's own. Sep 16 CBOT Wheat settled at $3.83 1/2, down 17 3/4 cents; Sep 16 KCBT Wheat settled at $3.89 3/4, down 15 3/4 cents; Sep 16 MGEX Wheat settled at $4.92 1/2, down 5 1/4 cents. For the week Chicago wheat was 43 1/2 cents easier, Kansas wheat lost 41 cents and Minneapolis shed 38 1/4 cents.